The Belkin N300 Wi-Fi N Router provides better performance for surfing, downloading, and all your other online activities. Featuring Belkin's Simple Start browser-based setup, installation is easy and uncomplicated − just use a smartphone, tablet or computer to set up your router. Exclusive MultiBeam technology and speeds of up to 300Mbps* offer strong signal strength for strong coverage throughout your home. Featuring Parental Controls, the Belkin N300 Wi-Fi N Routers is the safe and secure way to connect from virtually anywhere in your home. 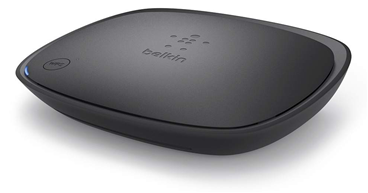 Whether you’re emailing, video chatting, or on the social networks, the Belkin N300 has the speed and power you need. Designed for easy setup and equipped with Preset Security, your secure wireless network will be up and running in minutes. The Belkin N300 also comes with an integrated Self-Healing application to automatically resolve potential network problems and keep your connection hassle-free. MultiBeam technology provides maximum coverage virtually anywhere in the home. Troubleshoots network problems and fixes them automatically. Unique pre-printed security card to make sure your network is protected. Works seamlessly with wired ‘G’ devices.